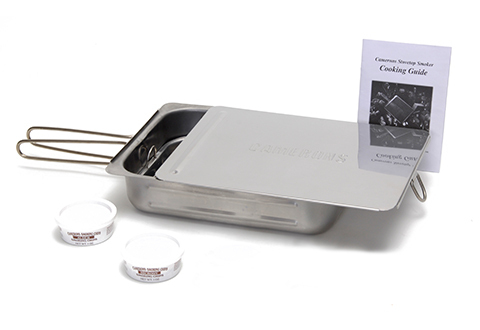 Get that great BBQ taste any time... in your own kitchen! 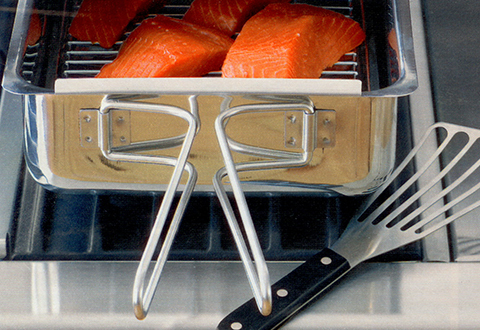 The Stainless Steel Stovetop Smoker uses wood chips to give your ribs, chicken, salmon — all your favorites — a great smoky flavor in just 25 minutes on your gas or electric stovetop. 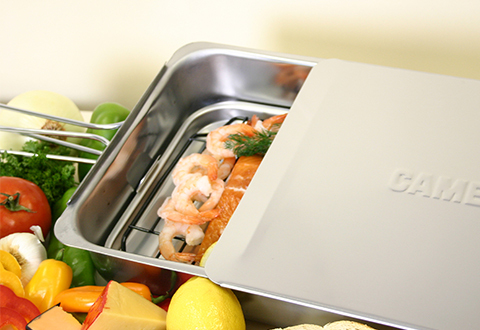 The hot-smoke process requires no fats or oils, and keeps your food moist and juicy. 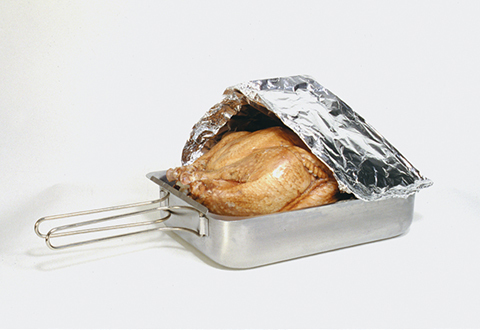 Easy to clean and dishwasher safe, this innovative device also works in the oven or on your outdoor grill — it even doubles as a steamer! 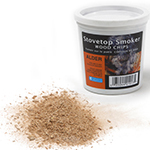 Includes sample wood chips (1 oz. Oak, 1 oz. Hickory) and cookbook. Extra wood chips available at SharperImage.com. 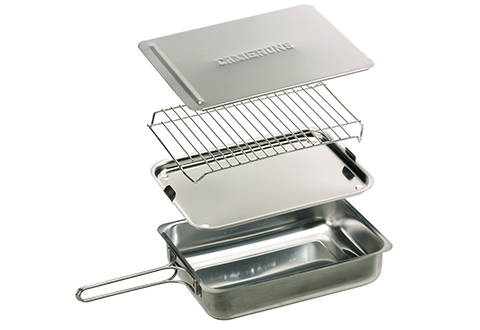 Get that great BBQ taste indoors on your gas or electric stovetop. 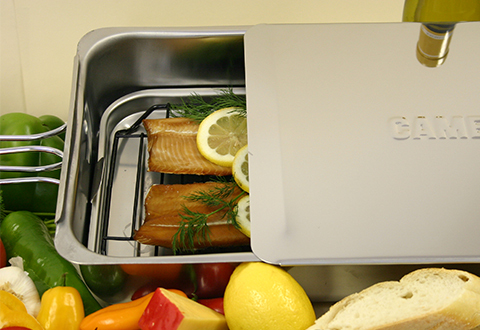 The Stainless Steel Stovetop Smoker uses wood chips to give all your favorite foods a great smoky flavor. 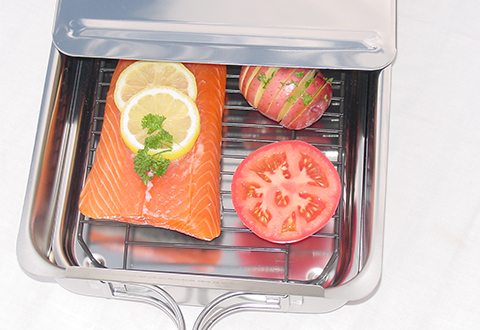 • Stainless-steel smoker can be used on a gas or electric stovetop, in the oven, on an outdoor grill — even on a campfire! 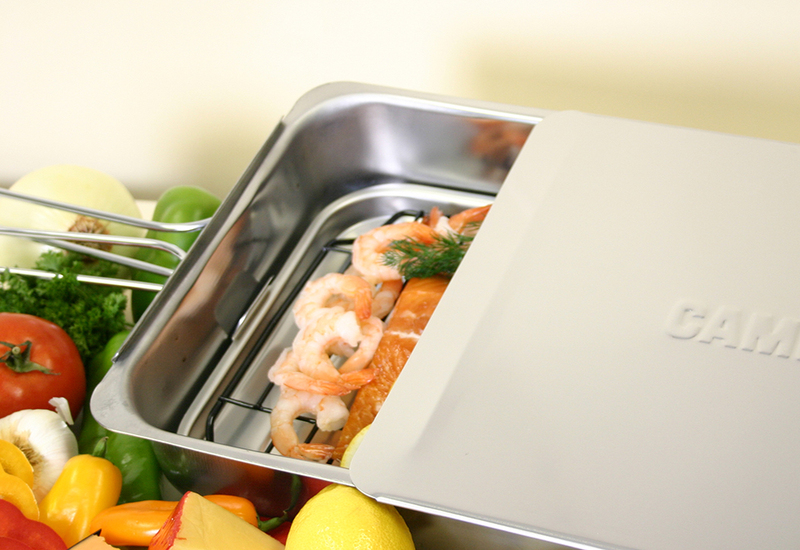 • Measures 11" x 15" x 3.5"
• Easy to handle — weighs only 8 lbs.